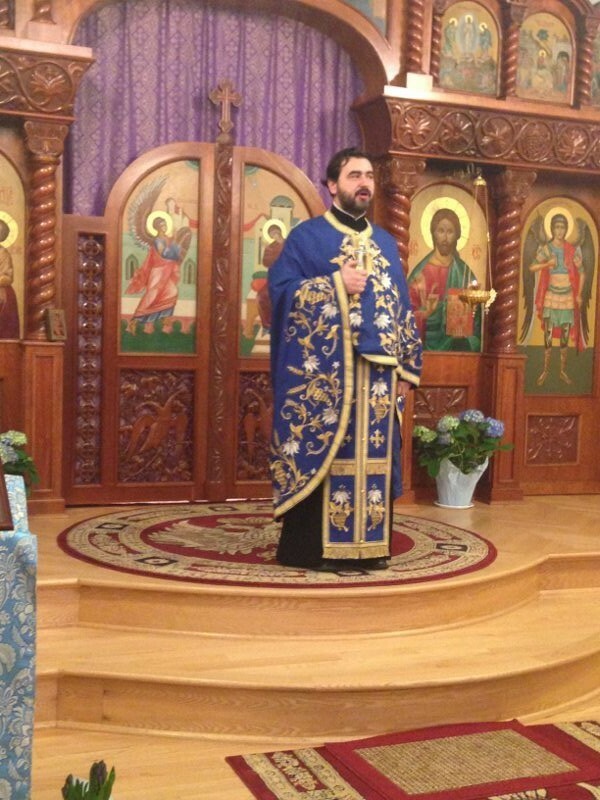 Elizabeth, NJ - His Grace Bishop Dr. MITROPHAN came to St. George Serbian Orthodox Church in Elizabeth, New Jersey for the beautiful and inspiring Akathist to the Mother of God served on Friday evening during the Fifth Week of Great Lent. 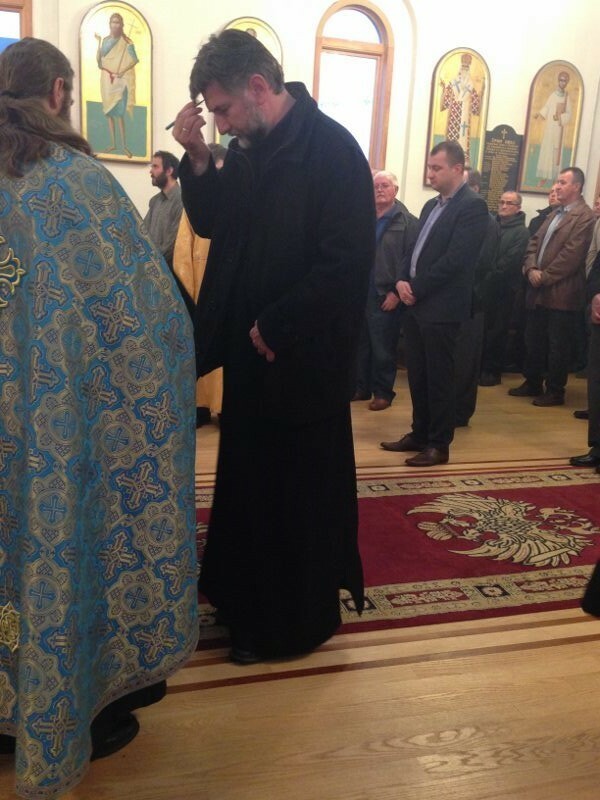 Participants included host Father Zoran Radovic, Dean of the Washington Deanery-Father Aleksandar Vlajkovic, Father Predrag Micic, Father Djokan Majstorovic, homilist-Father Vladislav Radujkovic and Father Rodney Torbic. Parishes from Boston, Massachusetts; Paterson, New Jersey; and New York, New York; were represented in addition to the two parishes in Elizabeth. Faithful and clergy gathered in honor and recognition of the Mother of God. 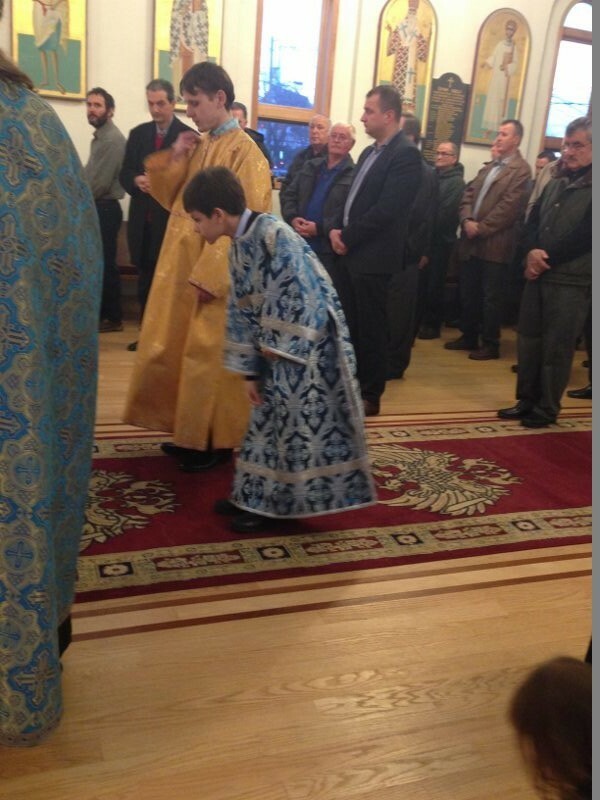 The St. George Church in Elizabeth was adorned with flowers and the faithful were anointed with blessed oil at the conclusion of the service. 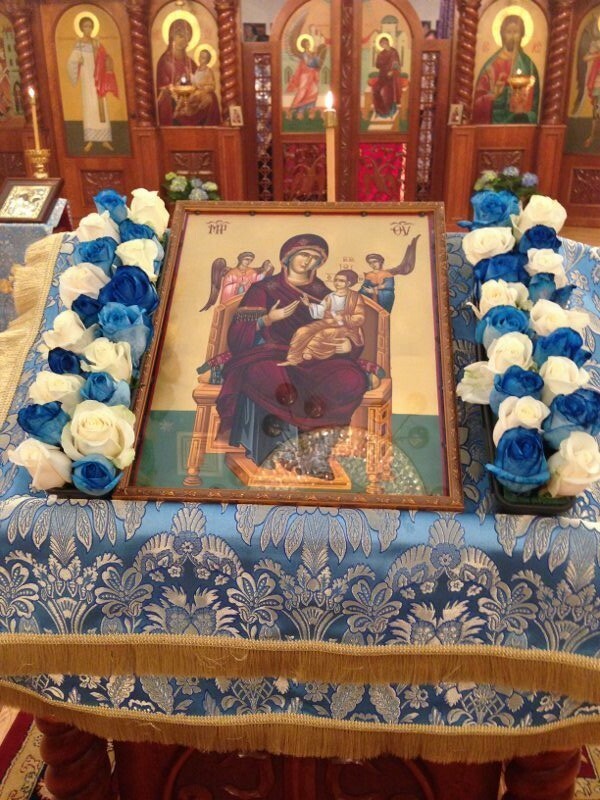 A beautifully adorned icon of the Mother of God was present. 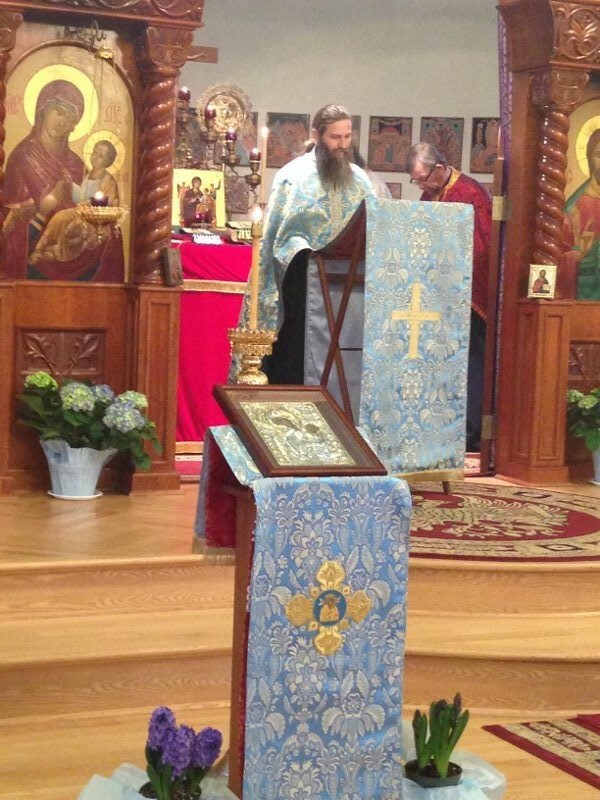 Father Radujkovic’s homily and the content of the Matins and Akathist were instructional. 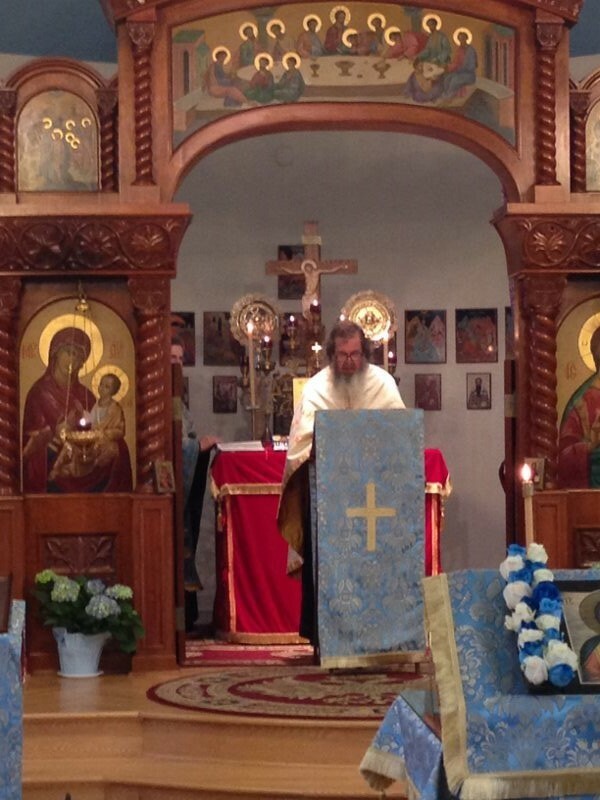 All present were joining with Orthodox Christians throughout the world. Great Lent has a consistent and orderly structure that is observed each year. 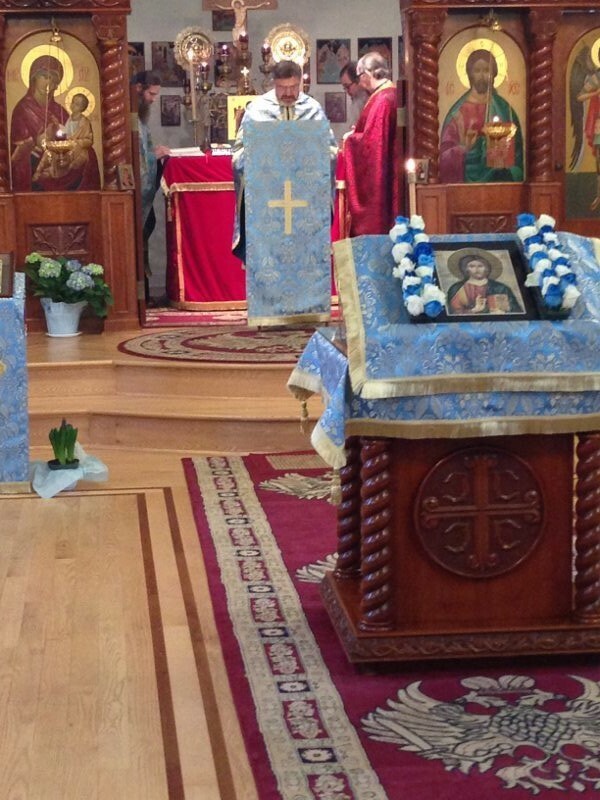 The St. George Serbian Orthodox Church in Elizabeth, New Jersey has an active schedule of liturgical services. Believers and individuals seeking nourishment from God benefit greatly from attending the services. 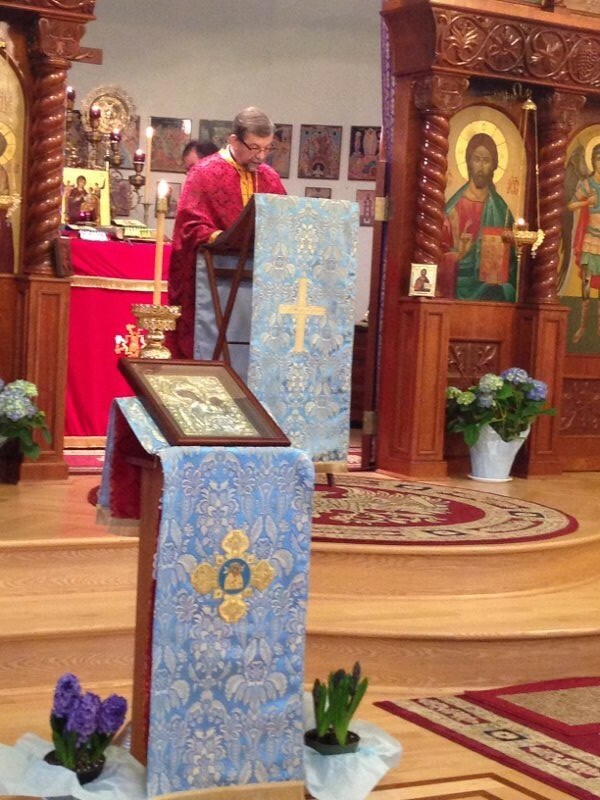 His Grace Bishop Dr. MITROPHAN travels greatly in the Eastern American Diocese to participate in services in the four Deaneries. 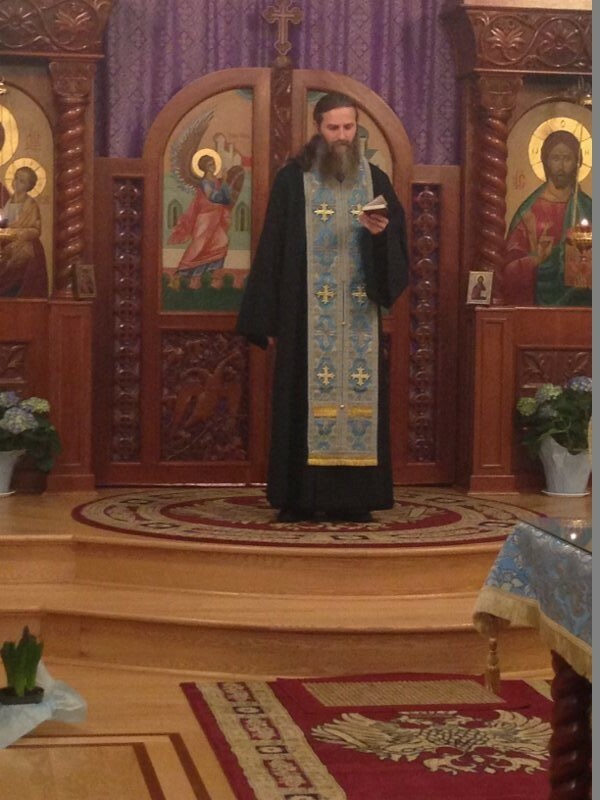 The St. George Serbian Orthodox Church in Elizabeth was honored to have His Grace present. Following the service, a Lenten meal was served in the parish hall for all in attendance. 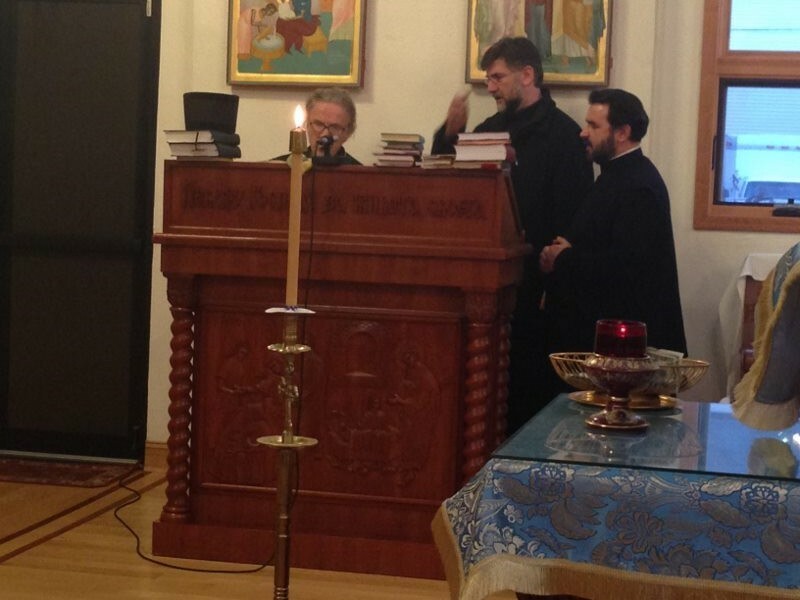 The relationships among the parishes represented were strengthened by the serving of the Akathist. Great Lent is a time for repentance and renewal in Christ. The Most Holy Mother of God represents the purity and closeness with Christ that is possible for believers. Christians benefit from focusing on the Mother of God as a model of purity and obedience. Christians benefit from turning to the Mother of God in prayer. St. George Church in Elizabeth afforded this wonderful opportunity for believers. The Lenten journey encourages and emphasizes repentance and renewal in Christ. The Akathist on the Friday of the Fifth Week of Great Lent is an important step in the Lenten journey. 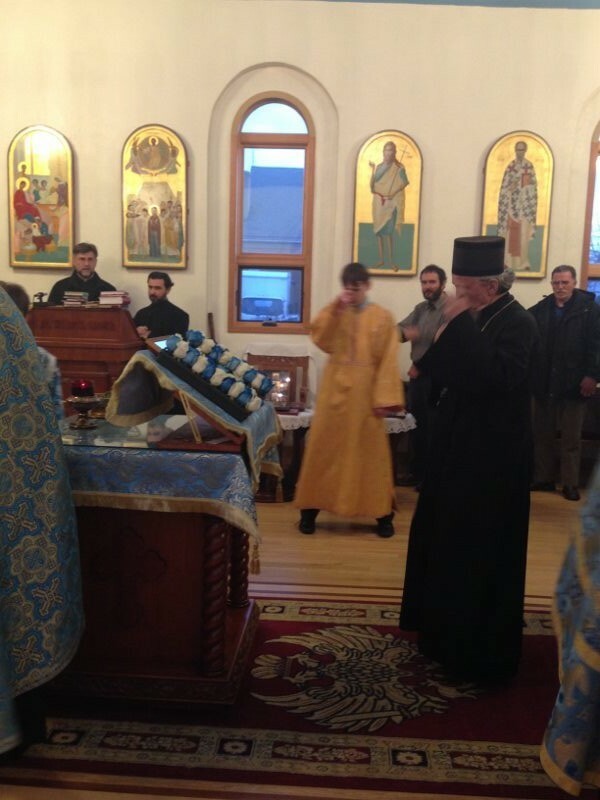 On Friday, March 27, 2015 when His Grace Bishop Dr. MITROPHAN, participating clergy and faithful gathered in Elizabeth, New Jersey, spiritual nourishment and joy were experienced.